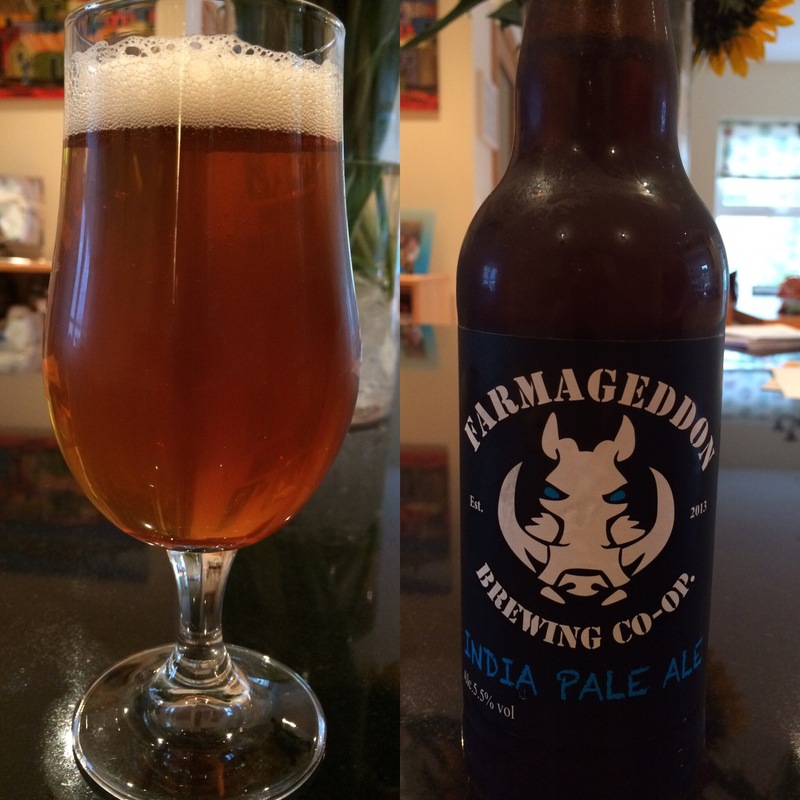 Farmageddon IPA is inspired by the Amarican West Coast IPA’s. It has an ABV of 5.5%. Overall – A very pleasant IPA, plenty of taste and aroma. Not over hopped. 7.5/10. Appearance – Dark golden, clear with a white head. Aroma – Plenty of citrus and peach, slight caramel tinge. Flavour – Citrus fruit and a slight tropical fruit edge. A good amount of hoppyness with a slight sweetness. Mouthfeel – light carbonation, smooth and easy to drink. Finish – Light intensity with a slight bitter linger.